Kendu Isaacs and Mary J. Blige attend the 2016 Vanity Fair Oscar Party on Feb. 28, 2016, in Beverly Hills, Calif.
Say it ain’t so! 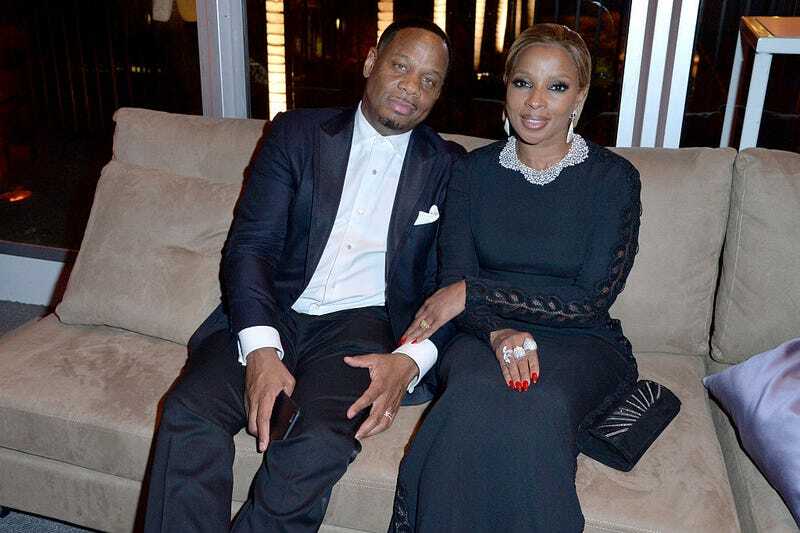 The Queen of Hip-Hop Soul has officially announced her divorce from husband Kendu Isaacs after a 12-year run. And while we know she’s probably going through a difficult time, we can rest assured that Mary J. is about to give us some hot fire on her next album. Because what’s a breakup without a little Mary J.? Stevie Wonder: "Never Dreamed You'd Leave in Summer"
Brian McKnight: "One Last Cry"
Toni Braxton: "Unbreak My Heart"
Mary J. Blige: "Not Gon’ Cry"
Aretha Franklin: "I Never Loved a Man (the Way I Love You)"
Alanis Morissette: "You Oughta Know"
Mary J. Blige: "No More Drama"
Kimberly Wilson is the social media editor at The Root. Follow her on Twitter.